Plantronics USB Multimedia Headset is a noise-cancelling audio device that allows users to enjoy movies, games, and music in the fullest way possible. This device offers an immersive experience to users and even has dual 40 mm speakers that support this audio experience. 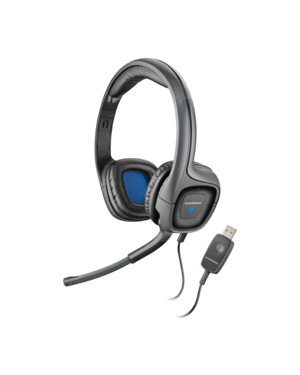 Its full range digital sound is the device’s edge compared to other headsets offering similar features. Plantronics USB Multimedia Headset ensures that users are able be heard on the other end of the line through the integration of noise-cancelling technology in the device. 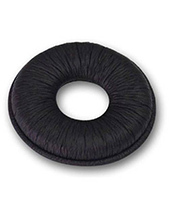 Its microphone has a boom-style design, which can be positioned depending on the preference and comfort of the user. 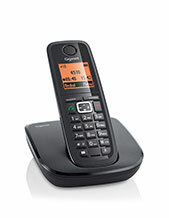 In addition to this, it also uses fast Mic Mute feature, which can easily be accessed with one flip of a button. Another feature that comes along with easy access is the on-ear volume control. 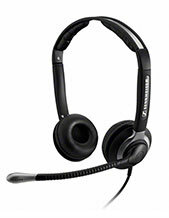 Plantronics USB Multimedia Headset offers users with the comfort they need for an all-day usage. It has a lightweight design that enables users to easily wear the device without the weight wearing the user down. It also has soft ear cushions that provide comfort to the ears, making it perfect for longer time usage, not only for professional use but also for users to enjoy gaming and music. Get to know this great headset better by calling Headsetsonline hotline at Australia wide 1300 131 133!